33 years is a long time; that's the last time I saw one of my favorite bands, Utopia, in concert. Now a dream of mine has become reality and Todd Rundgren's Utopia are back and set to launch a U.S. tour in late April 2018. Elated and thrilled at the news, this long suffering fan was inspired to write an anthemic flavored prog-pop song called "Utopia," my stylistic tip of the hat to the group and the fans/band collective ethos. 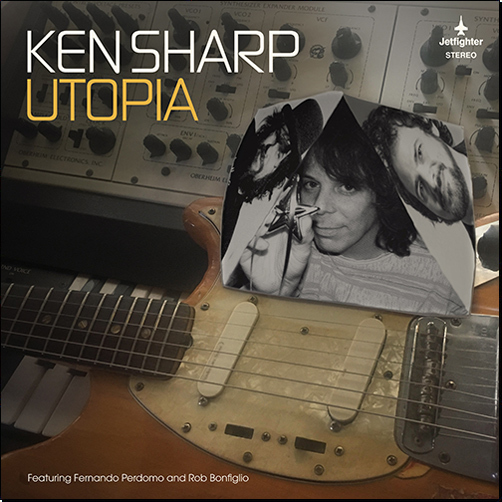 I quickly roped in two extraordinary musicians and fellow Todd/Utopia freaks, Fernando Perdomo and Rob Bonfiglio, and we cut this new song of mine at Reseda Ranch Studios in tribute to our Utopian heroes, Todd Rundgren, Kasim Sulton, Willie Wilcox and Roger Powell.